You think agile techniques might be for you, but your projects and organization are unique. An "out-of-the-box" agile approach won't work. Instead, unite agile and lean principles for your project. See how to design a custom approach, reap the benefits of collaboration, and deliver value. 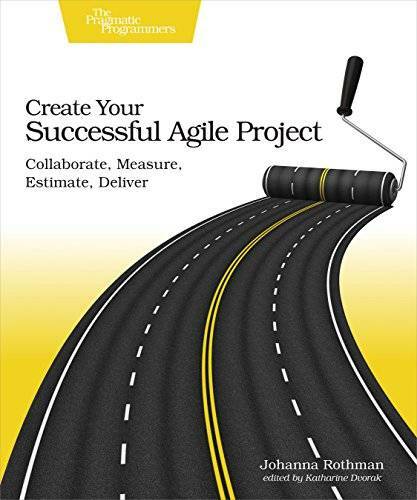 For project managers who want to use agile techniques, managers who want to start, and technical leaders who want to know more and succeed, this book is your first step toward agile project success. You've tried to use an off-the-shelf approach to agile techniques, and it's not working. Instead of a standard method or framework, work from agile and lean principles to design your own agile approach in a way that works for you. Build collaborative, cross-functional teams. See how small batch sizes and frequent delivery create an environment of trust and transparency between the team, management, and customers. Learn about the interpersonal skills that help agile teams work together so well. In addition to seeing work and knowing what "done" means, you'll see examples of many possible team-based measurements. Look at tools you can use for status reporting, and how to use those measurements to help your managers understand what agile techniques buy them. Recognize the traps that prevent agile principles from working in too many organizations, and what to do about those traps. Use agile techniques for workgroups, and see what managers can do to create and nurture an agile culture. You might be surprised at how few meetings and rituals you need to still work in an agile way. Johanna's signature frankness and humor will get you on the right track to design your agile project to succeed. What You Need:No technical expertise or experience needed, just a desire to know more about how you might use agile in your project.